Unlike other modern automotive lighting systems, the BMW M4 Concept Iconic Lights employs “High Power Laser” diodes for projecting driver information directly onto the road in front of the vehicle, allowing them to concentrate on traffic even in pitch black darkness. Selective Beam technology helps the headlights adapt themselves to oncoming traffic, to make sure the drivers are not blinded by the light, thanks to laser technology. Plus, the Dynamic Light Spot function warns drivers of incoming pedestrians or animals from a distance of 100 meters. Click here to view the first image in this week’s geek life gallery. Continue reading for a viral video of Japanese carpenters fitting together perfectly cut pieces of wood. 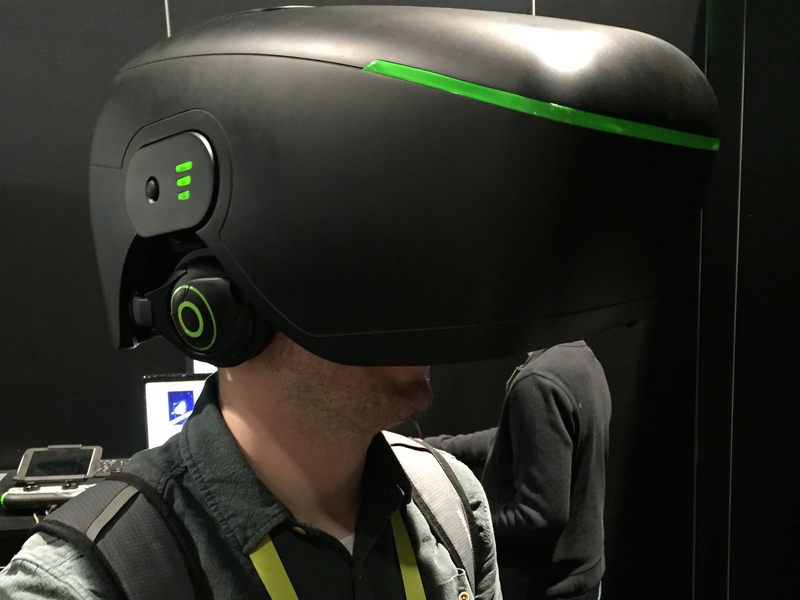 3DHEAD hopes to give Facebook’s Oculus a run for its money, but the reactions it’s been getting at CES 2015 haven’t been very positive to say the least. With a Space Balls Dark Helmet-inspired design, this device is basically a plastic 3D display held 10 inches from your face. The main component of this system is a 7-inch tablet with a glasses-free 3D screen that can be clipped into a gray gamepad. Expect to shell out $999 for the headset itself or double that for a combo package with the controller. Continue reading for a video live from CES 2015 and more information. Mercedes-Benz has created some outlandish concepts in the past, but the F 015 trumps them all. With a futuristic spaceship-inspired exterior made from carbon-fiber, aluminum and high-strength steel, the F 015 boasts self-driving technology as well as a hybrid system it can travel up to 685-miles on a single charge. Inside, there are four rotating swivel chairs, touchscreen panels and a panoramic roof that’s perfect for stargazing. Continue reading for the live reveal video from CES 2015, more pictures and additional information. Priced at $6000, the Tonino Lamborghini 88 Tauri smartphone doesn’t double as a key, or include a diecast model of the Aventador, Huracan, etc., but on the bright side, it’s clad in fine calfskin leather on top of its 3-layer stainless steel chassis. It features a 5-inch 1080p display, 8-megapixel front-facing camera, 20-megapixel main camera, 2.3-GHz quad-core Qualcomm Snapdragon 801 processor, 3GB of RAM, 64GB of internal memory, dual-SIM slots, and a 3400mAh battery, all running Android Kit Kat 4.4.4. Continue reading for a hands-on video, more pictures and additional information. LG’s curved G Flex 2 is one of the first smartphones to be powered by Qualcomm’s Snapdragon 810 quad-core processor, complete with its 64-bit octa-core CPU clocked at 2-GHz for smooth game play and graphics rendering. It also comes equipped with a fast-charging 3,000mAh battery that can be recharged to 50% in just 40-minutes. Other specs include: 16GB-32GB of internal memory, 2GB – 3GB of RAM, microSD memory expansion, 13.0-megapixel rear camera, and a 2.1-megapixel front camera. According to CNet, “LG has integrated motion recognition that allows the camera to sense whenever it’s being lowered from on high by a stick or a raised arm. When it picks up on this movement, a preview of the last taken photo will immediately appear without the user having to manually check for him or herself.” Continue reading for another video, hands-on pictures and more information. 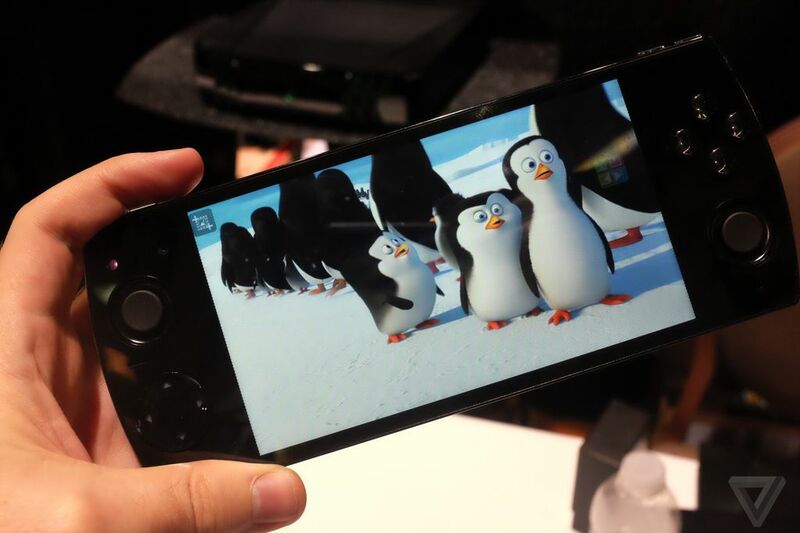 At first glance, Snail’s Obox W3D appears to be yet another PSP knockoff, but this is an actual smartphone. It’s running Android 4.4, and boasts a front-facing, eye-tracking camera that works in conjunction with the built-in 5.5-inch 1080p touchscreen display to produce 3D images that pop right out at you. Not just for games, inside, you’ll find a powerful 8-core processor and 2GB of RAM. It’s set to launch later this year, but no word yet on pricing. Click here to view the first image in this week’s WINS gallery. Continue reading for a viral video of Time and Again, which shows 15-countries in 4-minutes. We have seen the future of mobile gaming, and it’s the NVIDIA Tegra X1. Unveiled tonight at CES 2015, this GPU combines a 64-bit ARM_based processor with a Maxwell architecture-based graphics chipset. While the K1 used NVIDIA’s older Kepler GPU technology, the X1 is twice as powerful and also the first teraflop mobile processor. Continue reading for more video demonstrations and information.